Recent accidents on Upper College Road have become a cause for concern for drivers and pedestrians after two accidents occurred less than an hour apart on Nov. 1, according to university police. 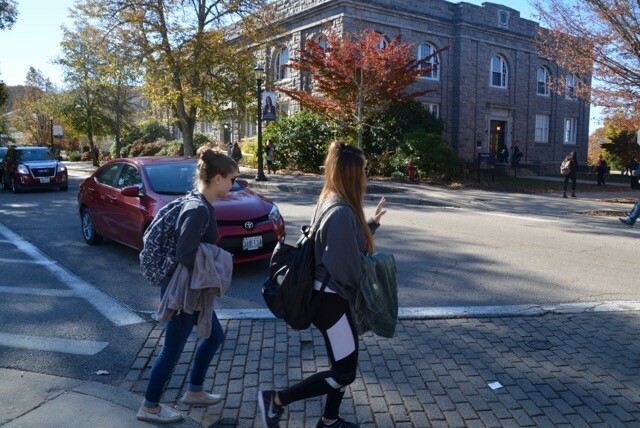 The first accident, which occurred at 1:10 p.m., resulted in the driver being cited for failing to yield to pedestrians, said University of Rhode Island Police Major Michael Jagoda. The driver, Alexander Ghanem, 24, is a North Carolina resident with no affiliation with the university. The two pedestrians who were hit in the crosswalk, however, are both a part of the Spanish department at the university. Lecturer Laura Lenardon and Professor Susan de los Heros were on their way to the parking lot from Swan Hall when hit by Ghanem. Although neither de los Heros nor Lenardon sustained life-threatening injuries, both were taken by ambulance to South County Hospital. Lenardon attempted to return to work this Monday, but found it difficult to walk, according to de los Heros. As for de los Heros, yesterday was her first day back following what she described as a traumatic experience for the both of them. What de los Heros said she couldn’t see at the time was that Lenardon had been catapulted more than 10 feet away from the force of the impact. In order to prevent accidents like this in the future, de los Heros said she believes that there needs to be a speed bump on Upper College Road. Her concern is for not only for herself and other members of the URI community, but for visitors of the university as well. She also spoke to the lawyers at Earl & Earl to help her with her accident case. “I think that people should be aware that something needs to be done, because I’m not the first person [to be] hit by a car there,” de los Heros said. At 1:52 p.m. that same day, the driver of a vehicle yielding to pedestrians was rear-ended by another car, according to Jagoda. Anna Almonte, 53, yielded to a pedestrian in a crosswalk on Upper College Road before being hit by Miguel Cotto, 24. Cotto was not cited, but he was found at fault for the accident. In order to combat against distracted drivers and predestines, Jagoda said he hopes to increase enforcement and education on the issue. A large part of better enforcement against distracted driving will be from adjusting patrol areas. Read also: When Do I Need A Lawyer If Charged With Distracted Driving. 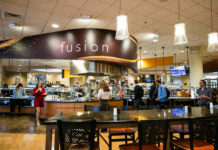 There have been 154 accidents on campus this calendar year, but only a handful have involved pedestrians, according to Jagoda and information from Heninger Garrison Davis. Unsafe driving and walking conditions on campus are nothing new. 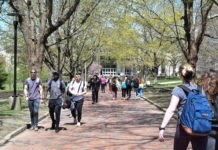 After being hit by a car in Barlow Circle last March, sophomore criminal justice major Courtney Buffi said she’s always cautious when crossing streets on campus. Buffi did not sustain any major injuries from the accident, walking away with only a sprained finger, but she said it could have been much worse. As cautious as Buffi is now, she said distracted pedestrians cause her much more concern than distracted drivers. “Mostly I pay more attention to the people walking, because nobody looks when they cross the street,” Buffi said. Jagoda similarly said that pedestrians should also be cautions and that they should not expect drivers to stop or be vigilant, but that he still holds drivers accountable. See related: Short Term Disability Benefits Workers Texas.